I am a parent myself, and with the experience of many family ski trips over the years, I thought it would be helpful to share what’s needed to organise a successful family ski holiday. 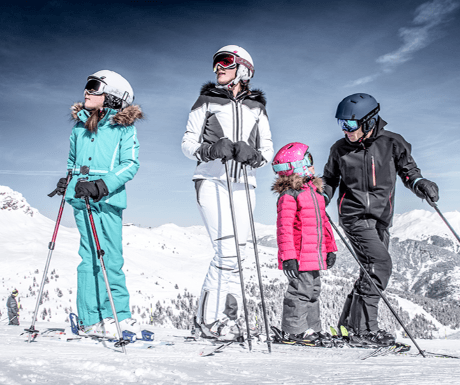 The key is to choose a ski company who will make sure nothing is too much trouble and who will go to great lengths to ensure that your children are well looked after. Once that’s in place it means that the hard-working parents can relax and enjoy a holiday as well! It makes so much difference to your ski holiday if you choose a high quality catered chalet with professionally trained chalet staff. A well-trained team which is used to dealing with children of all ages will be able to adjust meal times and menus to suit the needs of children and parents alike. Typically when you stay in a chalet, you can choose the time of any early dinner for the kids, allowing the adults to enjoy fine food and wine later when the little ones are tucked up in bed. 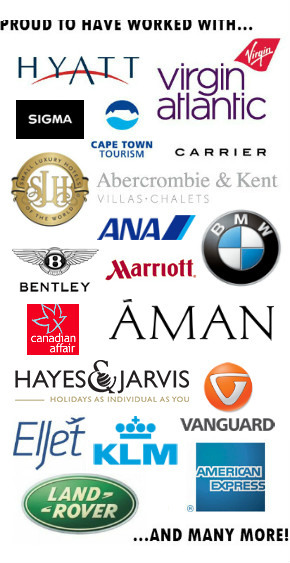 Some companies have their own in-house nannies and child-carers. Alternatively, the best ski companies will be able to arrange a private nanny for the week or a babysitter for a few evenings. These are normally drawn from a pool of local, tried and tested experts, many of whom are typically parents themselves. This is such an important part of a family ski holiday. A bad ski instructor can ruin the experience for children and put them off ski school for life. Most importantly, it’s essential to ensure that you find an instructor fluent in English, who is used to teaching children. A good ski company will know the best instructors and work with them on a seasonal basis, with regular repeat bookings. Group lessons can be a great way to learn, but make sure you know how many children will be in each group – the fewer there are, the more your children will learn. An alternative to this, although more expensive, is to book a private instructor: the learning curve is so much faster. 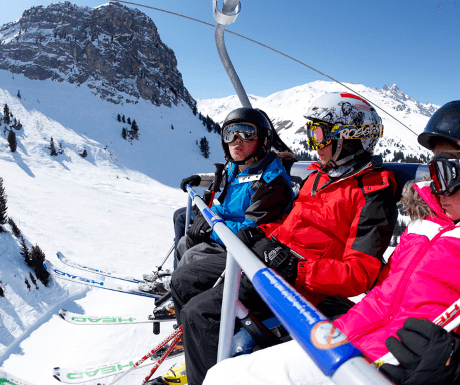 If your children are like mine and have unlimited amounts of energy, then you’ll also need to choose a chalet or resort with a supply of non-ski activities. Many resorts have plenty to choose from to keep your kids occupied. 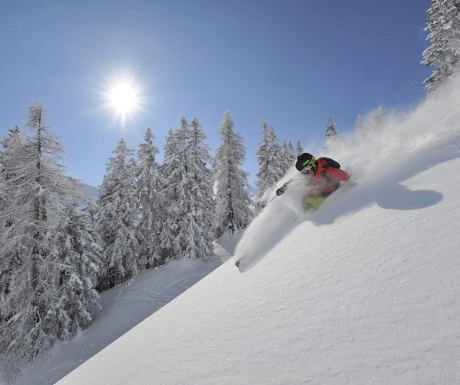 St Anton, for example, has a superb ice rink and an amazing Wellness Centre, with indoor and outdoor pools plus hot tubs and a collection of saunas for the adults. Alternatively, by picking a chalet with a swimming pool, such as the Eden Rock in St Anton, you can pop down to the pool without even leaving the building. Another resort I know well is Courchevel, which has a great 2km toboggan track that drops 300m through the woods. A sleigh ride is a great way for a family to spend the early evening or a visit to the new – and absolutely stunning – Courchevel Aquamotion centre will keep them occupied for hours. Wherever you choose to take your family ski holiday, I hope you find the advice and tips above of use. Please do ask any further questions you might have in the comments below and I’d be delighted to help. I have read carefully your article about ski in family and would like to comment few points as professional of ski travel. It’s an excellent article I would like to complete with my professional experience in ski travel especially in France. Apart from the criterion skiing, as you mentioned, accommodation is an important factor and I would like to note that in France especially now many interesting alternatives are offered. The residence is one that I find particularly suitable for families because it has the advantage of offering accommodation type apartment in chalet that offers more space than a hotel room but also a series of service that we n ‘Not in the chalet: reception, bar, lobby, restaurant, fitness area, swimming pool… This offers the possibility for children to have fun after skiing. As for the ski lessons, I would like to point out that in France the ESF offers a quality of service and instructors who have had an exam in English is a training adapted to the teaching of children.